Home Others Blog Related Free shipping at Amazon! Australians are being cheated with these overpriced books, DVDs, clothings, and electronics at retail stores! Honestly, I’d rather buy things online as the price here is ridiculously high. Most of the time, it’s even cheaper to get a product outside of Australia even when you have to pay for the shipping. Apparently, Amazon UK is having a free shipping offer to Australia, India, New Zealand, and South Africa until 15th May 2011 (and can be extended)! All you have to do to get the Amazon free shipping offer is to buy items worthover £25 and choose the “Super Saver Delivery” as the delivery option. That is all! Apparently this only applies to Books, Music, DVD and Video but it’s the perfect time if you want to start buying your books or DVD/BluRay collections! 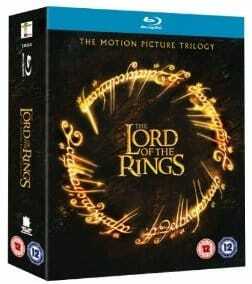 For example, Lord Of The Rings Trilogy (Theatrical Version) [Blu-ray] costs £16.93 (around AUD $27 including Amazon FREE SHIPPING) where as if I buy the DVD in Australia, it’d cost me around AU$70 at JB HiFi!! Next articleAmazon Kindle Subscription Referrals?